Whether you're looking to finally get healthy and fit for the first time, or you want to optimize your stamina and metabolism to take your fitness regimen to the next level, the Beachbody Ultimate Reset can benefit you because it's optimized for all levels of health and fitness. 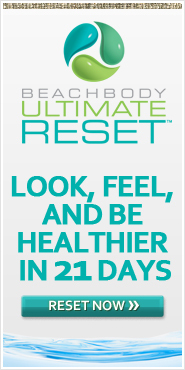 Beachbody Ultimate Reset™ is a unique program that helps people of all ages find relief from digestive problems, high blood pressure, bad cholesterol levels, asthma, arthritis, depression, and inflammatory conditions. It has also helped active individuals get even more out of their workouts because it restores the body and makes it more efficient.